Have you ever played a first person shooter? Then you've probably played against computer controlled players known as "bots" which are computer programs designed with artificial intelligence. 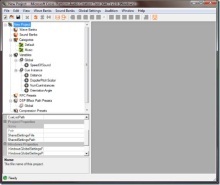 Up until now the only way to do create your own bot for a game like Unreal Tournament was to learn a bunch of C++ and complicated AI routines. 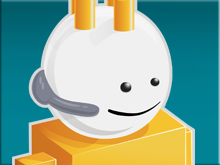 Of course, what you really want to do is code up your bot using C# or VB and Visual Studio Express. 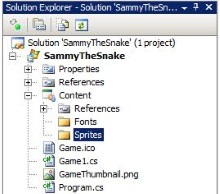 This project uses the code based on the Mutator for Unreal Tournament at http://www.planetunreal.com/gamebots/, but instead creates a .NET wrapper you to code your own "bots" in any .NET language. If you have ever wanted to write software which will take control of a player in Unreal Tournament and duke it out with other killer classes, then read on to find out how to do it. Installing the Game is *not* required as your bots can run on any of the supported remote servers. That being said, if you want to play against your own AI, you can configure your PC to be both a client (with you playing) and a server. You'll find full instructions on server configuration below, but to get Unreal Tournament Game of the Year Edition, you can order it from Amazon.com or download the shareware version ($19.99 for purchase) from Tucows. After installing, make sure to apply the patch up to version v436. Your bot can only connect to servers running the “Bot API” mutator meaning you can either run a server locally or join a public server. If you want to run a server, Epic Games distributes the server version of Unreal Tournament for free at: http://www.fileshack.com/file.x?fid=300. You can find step-by-step server setup instructions here. If you have a server of your own that is open to all feel free to add it to that list so that other bots from around the world can come round and visit you. Alternatively you can join one of the public servers listed at http://www.net.dcs.hull.ac.uk/utbot/ServerList.aspx without the hassle of configuring your own server and the benefit of seeing your AI bot play against other AI bots anywhere in the world. Double click on your download to install it and when you next load up Express you should see a “UT Bots” Starter Kit in the new project window. 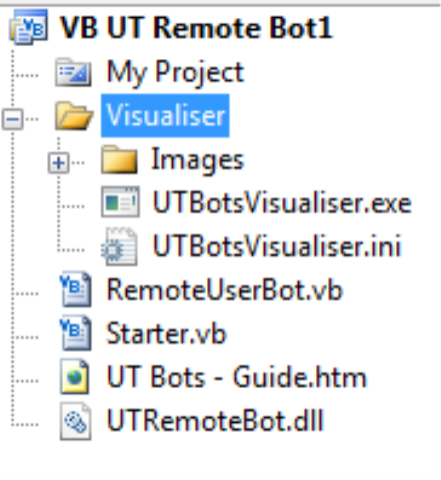 To configure the visualiser, simply run UTBotsVisualiser.exe and enter the IP address for the running game. 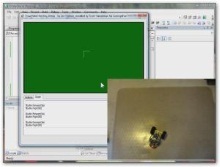 You create your bot as a program running on your PC. The PC is connected by the network to the server which needs to be running the “Bot API” mutator. Twice per second the server makes a call to your bot's PerformActions() method, which is a member of the RemoteUserBot class. The server will also call methods in your bot when events happen in game, such as your bot hitting a wall or hearing a noise. You put code into the PerformActions method to give your bot its distinctive personality. Your aim is to produce a bot that is aware of its own current state and that of the surroundings, reacting in a sensible manner. This may sound complicated, however, thanks to the methods and properties provided in the Getting Started pack, it is incredibly simple. Although the majority of your code will be executed during the call to PerformActions() your bot also receives messages from the server whenever a certain ‘event' occurs. For the purpose of clarity when we refer to an event we are not talking about an event of the .NET event-delegate type; in the context of your bot an event could be walking into a wall or hearing a noise. It is also possible to override the behaviour of the methods which receive the messages passed in by the server so that your bot can respond sensibly to them. For example, you can override the AnotherBotDied method to keep a scoreboard of who's winning and losing in the game. For full details on these methods please check the API reference. The following examples have been provided as a basic starting point for developing your own working bot. Please note these examples are by no means the best way to do things; it is up to you to optimize your bot to make the best fragger. 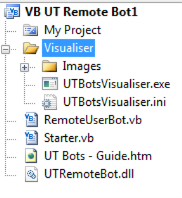 After installing the Project Template from the Getting Started section, open up Visual Studio Express and select File...New Project... and select the "UT Remote Bot" template. 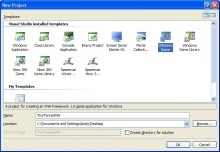 The Starter file is a console application that creates an instance of the RemoteUserBot class. You can customize it by providing a name for your bot, currently "UserBot", a "skin" for your bot which will display how your bot appears (ex: mercenary vs alien), the bot color (for teams), and the server to connect to. If you are self-hosting, you should set the server value to: "127.0.0.1"
''' The main entry point for this bot. /// The main entry point for this bot. If you run the program now you will find that your bot will appear in the game and stand waiting for instructions. 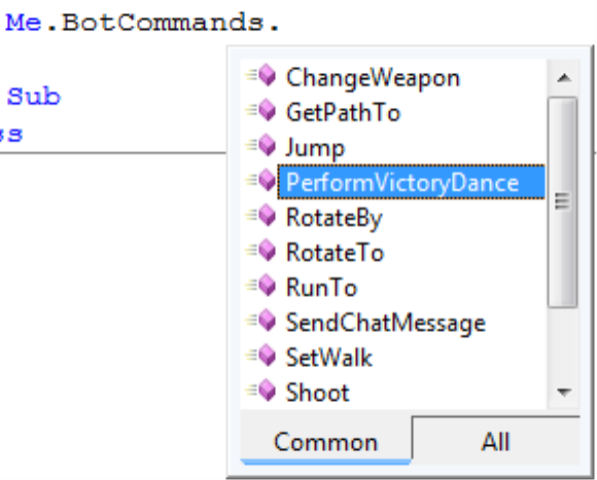 The game framework is calling the PerformActions method in your bot at regular intervals, but because the method presently does nothing, your bot does not move. The next thing we must do is change the content of this method to get control of our bot and make it move around in the game by adding code to the RemoteUserBot file. Opening up the RemoteUserBot file shows the code below where we will add whatever code we want to perform directly into the PerformActions() method. Now that we have a bot in the game we need to make it actually do something. The first thing we are going to make it do is move to a NavPoint. This is a location in the game which might hold something interesting. A series of NavPoints provides a path through the level to interesting items. A bot can travel around a game level by moving from one NavPoint to another. Within the game framework (UTRemoteBot.dll), an instance of the UTVector class can be used to express the actual location of something. The location of a Navpoint is given by its Location property, which is given as a UTVector value. We want our bot to head towards the first navpoint that it “sees”. To do this we place the following code into the PerformActions() method. CurrentGameState property of our bot contains information on the current state of the game. NavPointsVisible is an array of references to UTVector instances which refer to all of the NavPoints a Bot can see. The above code simply takes the UTVector at position 0 (the first NavPoint your Bot can see) and sets destinationLocation to refer to it. So at this point the bot has identified the location it wants to move towards, now we have to make it move in that direction. Now we are going to make our bot move to the destination it has selected. Place the following code into the PerfomActions() method just below the code written in the previous example. BotCommands provides a set of methods which are the commands that your program can give to the bot. There are a wide range of commands, some of which are listed below. For full details you should investigate the API reference. The RunTo() command is provided with a destination location. When this method is called your bot will start running towards the destination. If you execute this program you will see your bot start running towards a navpoint. For the purpose of this example we will next make our bot shoot at the location it is running towards, it is recommended that you change this when creating your own implementation as shooting at an empty NavPoint is unlikely to get you many frags. Place the following code into the PerfomActions() method just below the code written in the previous example. If you execute the program you will see that your bot now shoots at the location as it runs towards it. It will continue doing this until you call a method to instruct it to stop. Place the following code into the PerfomActions() method just below the code written in the previous step. Your Bot will now stop shooting. You can find out what your bot is up to we have provided a visualiser. This is a modified version of TclViz. When you run the Visualiser you can connect it to any server running the mutator and get a birds eye view of the game in progress by simply providing the IP address of the server. You can see the waypoints which are marked by pink dots and the active players which have their name next to a yellow dot and a line indicating which way they are facing. 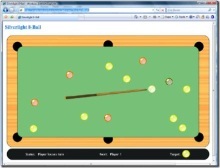 From here you can view the game and see what your bot is doing as shown in the visualizer screenshot. Now that you have got your bot into the game and made it move around a bit you can start thinking about making it into a decent player of the game. Take a look at the other members of the NavPoint class so that your bot can look for weapons and health pack and move towards them. Then take a look at the members of the CurrentGameState class for the information that your bot is given about the game around it. One thing you will need to add is some way that your bot can be in a particular state at any given time. Sensible states might be “Roaming”, “Hunting”, “Idle”, “Recovering” etc. Depending on the state your bot is in it will do different things each time PerformActions is called. If it is in the roaming state it will be looking for a nav point. If it is in the hunting state it will be chasing other bots. If it is in the recovering state it will be avoiding other bots and looking for a MediPac, and so on. You can keep track of the state of your bot by creating an enumerated type with the different values. Then your PerformActions method can contain a switch statement which makes it behave differently, depending on what it is doing. A state machine is just one way you could program your AI, you could make a sophisticated bot that had a way of determining if a result had a positive or negative consequence and then have the bot perform more actions that had a positive consequence. Essentially a learning bot, be careful though if your bot takes too long executing PerformActions it will get out of touch with the game as messages will sit on the queue unprocessed waiting for your code to finish. There are also some very handy hints in the FAQ below about getting your bot on the road to stardom. With this you should be able to go about creating your own deathmatch player. If you have any questions which are not answered in the FAQ below feel free to use the forum on the site (http://www.net.dcs.hull.ac.uk/utbot/ ). If you're feeling particularly brave join our project on CodePlex at http://www.codeplex.com/Wiki/View.aspx?ProjectName=UTBots and help pitch in with improving the client. Do I need Unreal Tournament to use this stuff? No, you can create bots and have them connect to any bot server and use the visualiser to get an idea of what's going on. Of course it isn't as pretty as UT! You can also run the server without owning a copy as Epic distribute a free server side runtime which you can get from http://www.fileshack.com/file.x?fid=300 . My bot won't move! What did I do wrong? This could be due to incorrect programming logic, please double check your code. You may also have left a Break Point within Visual Studio, if this is reached while watching your bot via Unreal Tournament your bot will appear to freeze until your program continues. My bot keeps getting stuck when it runs into a wall. How can I stop this? This method will be called when your bot hits the wall. The code above will simply rotate the bot by ninety degrees when it hits a wall. What events can my bot react to? My Bot seems a little slower than the other Bots! How do I make it faster? Try improving your Bot's logic to optimize the speed. 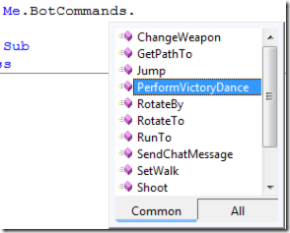 The more quickly the PerformActions() method completes the more time your bot has to react in the game. My Bot is nearly dead! How do I get it to collect some health? 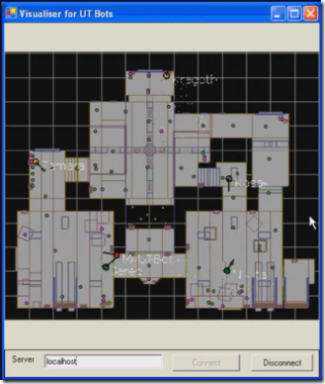 A simple idea would be to just run your bot around the level, checking the CurrentGameState.ItemsVisible list to see if your bot can see a Health item and if it can, get it to run to that location to collect it. Another idea would be to use the GetNearestItem() method inside the LevelMap class to find the location of the closest MediPack. Then you can call the GetPathTo() method from the BotCommands class to ask for an array of UTNavPoints to get to that health box. Once you have received this path, you can just get your bot to run to each point in turn until it reaches the health. 'The index has reached the end of the path. //The index has reached the end of the path. Some of the methods want me to provide a HealthType, AmmoType, etc as a parameter. Where can I find these? These types are Enumerators which have been used to make coding your bot easier. They are all located inside the UTRemoteBot namespace so to use them you need only type in the appropriate name and IntelliSense should fill in the rest. For example typing WeaponType. Would fill the Intellisense with the different types of weapons in UT so you could then pass these to the LevelMap.GetNearestItem() method. How do I shoot at another player? All you need do is check the CurrentGameState.PlayersVisible list for any players visible. You would then call the BotCommands.Shoot() passing in one of the Bots from the list and a bool which if set to true your bot will use the secondary fire mode on the current weapon if set to false your bot will use the primary fire mode. For reasons best known to code pixies GetPathTo doesn't always return a valid navigation path. In some cases it might even return nothing. The root cause of this problems lies deep within the Unreal Tournament path finding routines. It seems that in certain circumstances, for instance just after an item has been collected, the game just can't find a path. We strongly recommend that your bot doesn't rely too heavily on this method and only uses it occasionally with plenty of error checking! Is Unreal Tournament Game of the Year Edition the only supported UT version? Hey i agree with Foo, i've searched his entire computer and i can't find it there OR on mine. Its sposda be part of the template but isn't installing from what i can tell. Is it a part of the unrealed or something? Can i get it online somewhere? Hey CodePlex has the required utremotebot.dll , i don't have a link here but you can find this project on there and i think its in the bin/release file. We keep getting a 404 error when trying the links to the project templates. Do a search on Google for the dll and you'll find http://www.koders.com/info.aspx?c=ProjectInfo&pid=UBM2HM7CEWYQPC52N4KSAAKPXB which has the source for it, which you can build yourself. Ahahah this is the best thing ever made! These links are not working, anywhere else can I download these files from?? Oh, sorry, you are, I just oversaw it. We've made new version of GameBots for UT 2004, more information at our site. It is debugged and improved, although some things are still not done yet (visualizer, but that is a matter of days.). 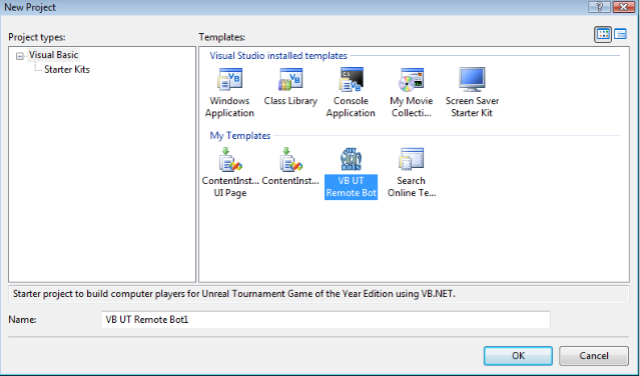 are you using Gamebots for performing your .NET defined methods in UT? The links of the templates are broken? Someone can send for me the C# template? The links in the article work for me. @Darby: Looks like it was moved to CodePlex. I need the "Bot API" to run in UT2004, any people can post or send? Please, i have the "Bot API" to Unreal 1, and need the UT2004. Sorry for the broken links, you can find the bits at: http://www.utbots.com/. Guys, this is a great idea, but getting resources and help is a mess. There is so much interest in this- Can you please just make a wiki for it and send us the link? That way we can update it as needed when things change. I'm trying to find the VB code. I really like these tools. I just can't get the Visualizer to work. Running Dedicated Server 436 and UT GOTY. I even downloaded the sources and compiled them again. Still no luck. Has anyone had this problem too? Would it be hard for me to create my own visualizer?